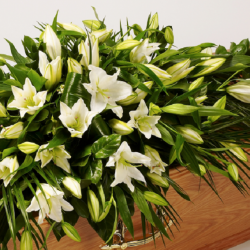 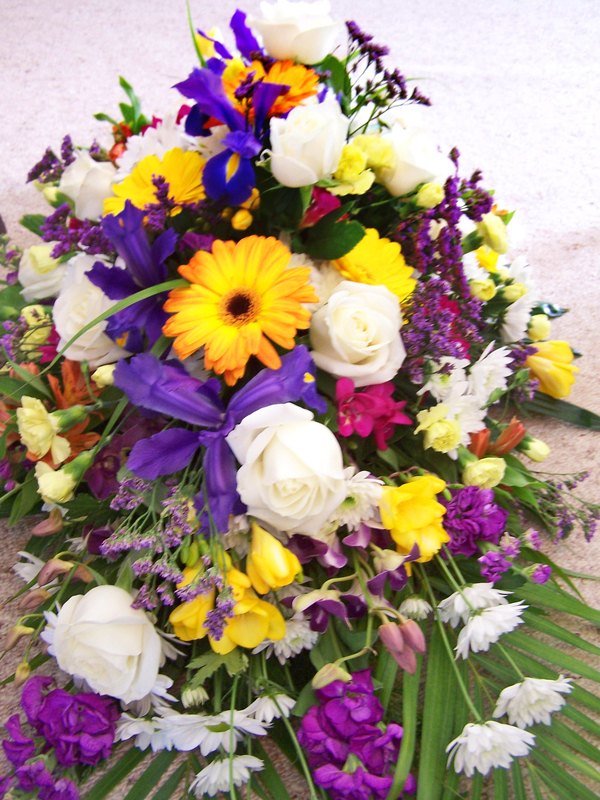 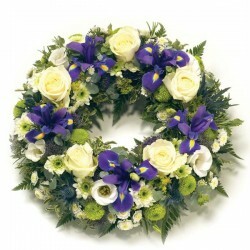 We supply and advise on all personal funeral floral tributes in contemporary or traditional styles. 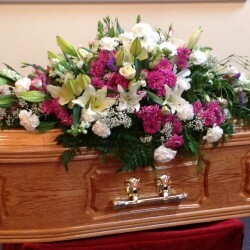 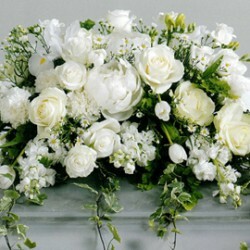 Fresh flower wreaths, coffin sprays, posies, hand-tied sheafs, lettered tributes and single flowers can be provided. 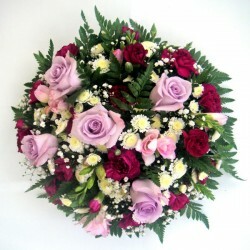 Orders for flowers can be placed online or by telephone to our office.